Nostalgic Warehouse reproduction skeleton key mortise locks are a great antique door knob replacement. The mortise box replaces most vintage skeleton key boxes found in older homes. 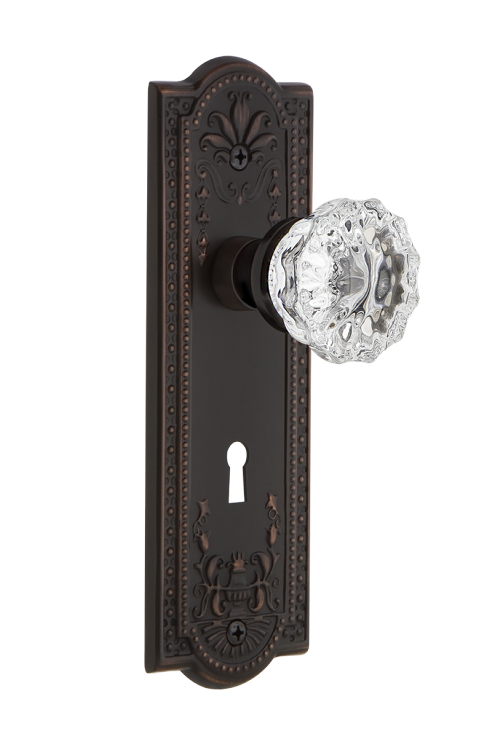 Customize your crystal knob with multiple finishes above. 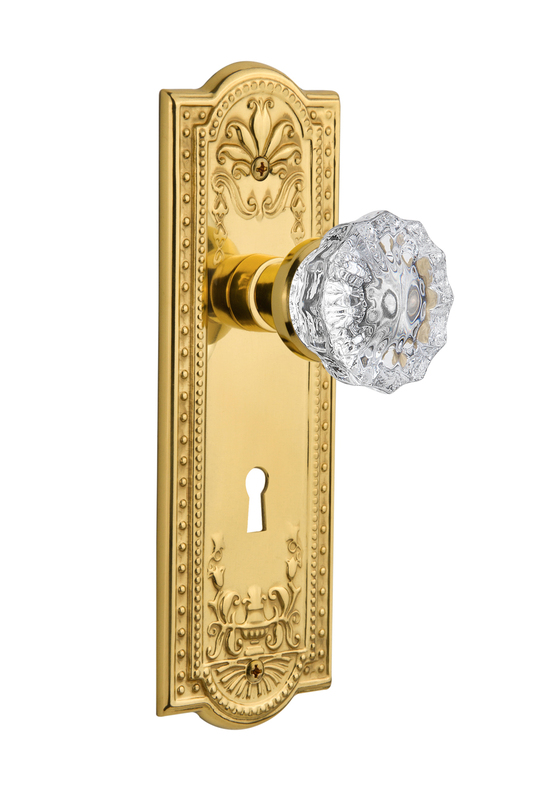 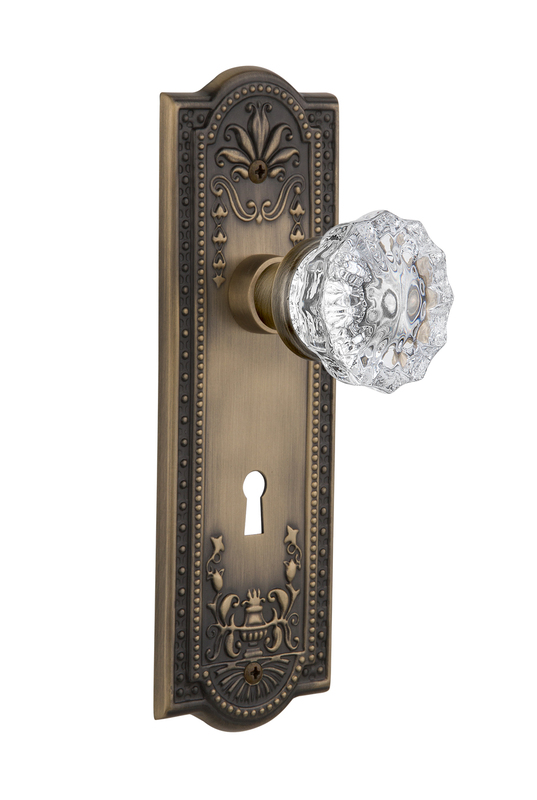 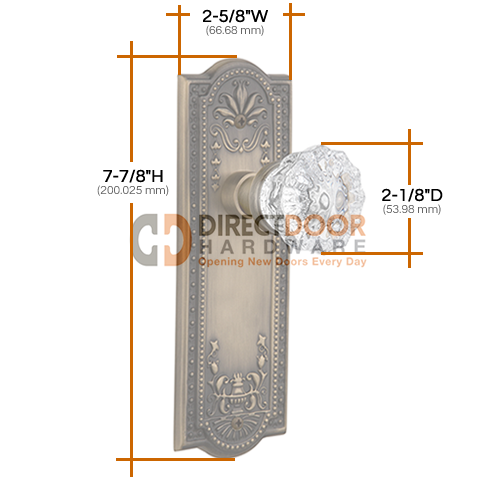 - Dimensions: Knob: 2.1" Diameter -Plate: 7.8" x 2.6"
If you need a tubular latch set, see Meadows Plate with Crystal Knob.